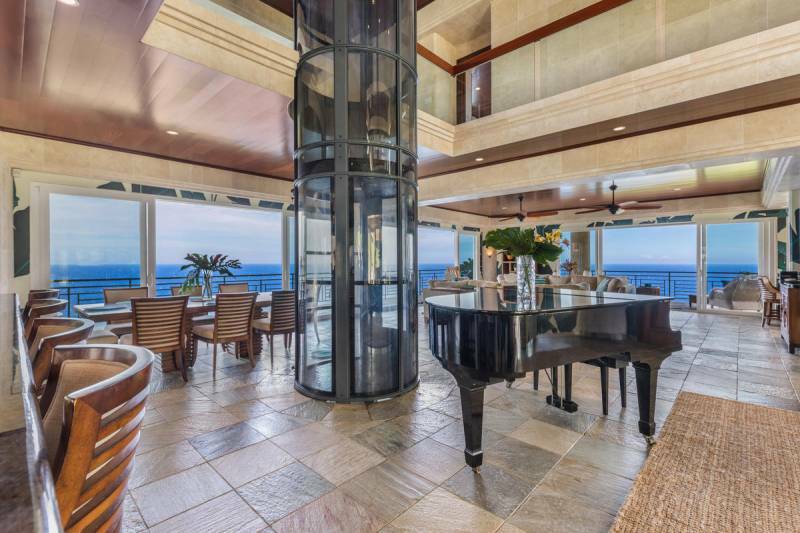 This expansive, one-of-a-kind home is situated cliff-side on Hawaii Island’s dramatic northeast coast with all the amenities of a five diamond luxury resort. 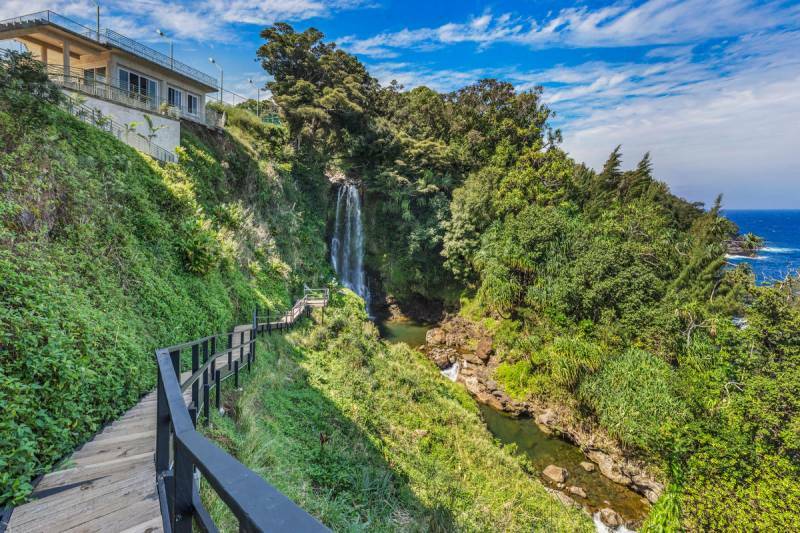 Natural beauty abounds on nearly 10 acres with panoramic ocean views and two waterfalls that cascade to the Pacific below. A stunning showcase property, the estate is gated and perfectly private. A perfect family or corporate retreat. The solidly built home is a four-story, reinforced concrete superstructure designed with large open floor plates that allow for the creation of a variety of floor plans to custom fit your lifestyle. Quality and elegance are evident in every detail. Among the special features are a rooftop deck and a central Daytona 52-inch round pneumatic air-compression elevator that provides easy access to all four levels. 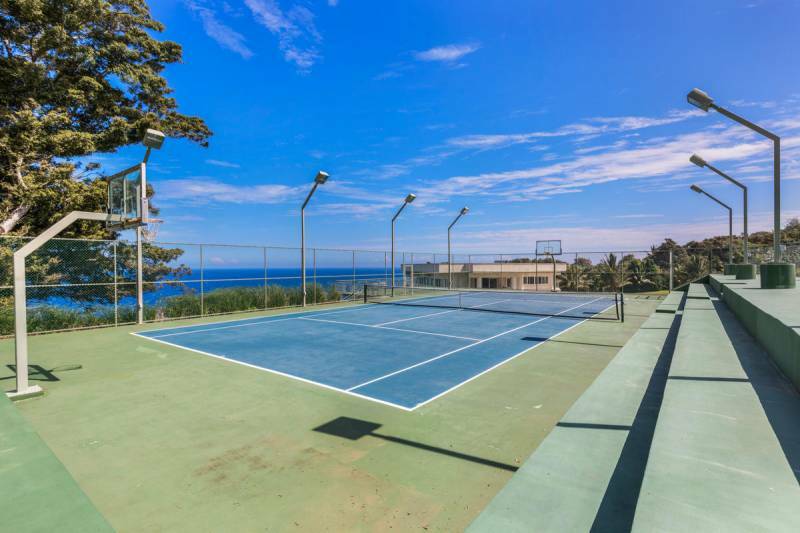 Estate amenities include a parking structure topped with a lighted tennis/basketball court with stadium-style seating for up to 450 spectators, golf practice area, and a cliff-side aquatic center. The aquatic center features a 25-meter Olympic swimming pool with three lanes and starting blocks, a 16-foot deep diving pool with an elevated 7-meter platform and a 3-meter Duraflex Olympic springboard, two spas, a 25-meter children’s pool, changing room with shower and sauna, plus a wet bar, exterior grill, and dining area. 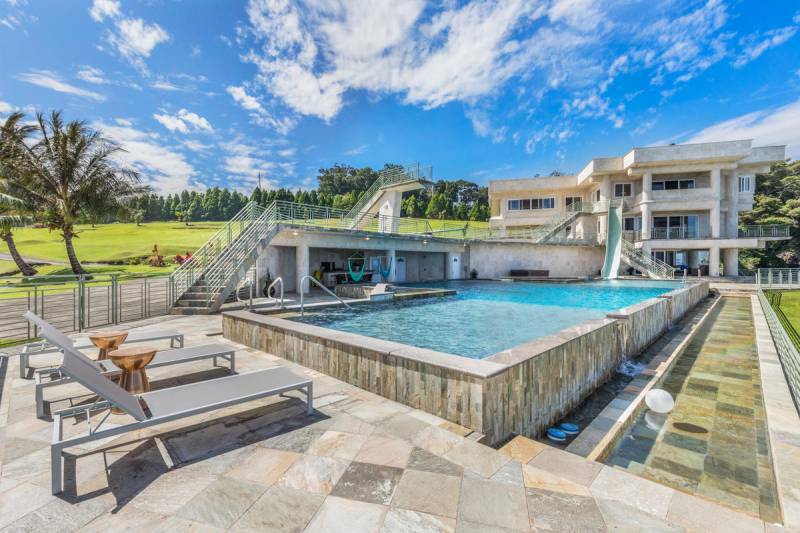 With its many amenities, natural beauty, privacy, and comfort, It’s no surprise that many sports and Hollywood celebrities – and even a royal or two – have been hosted here! 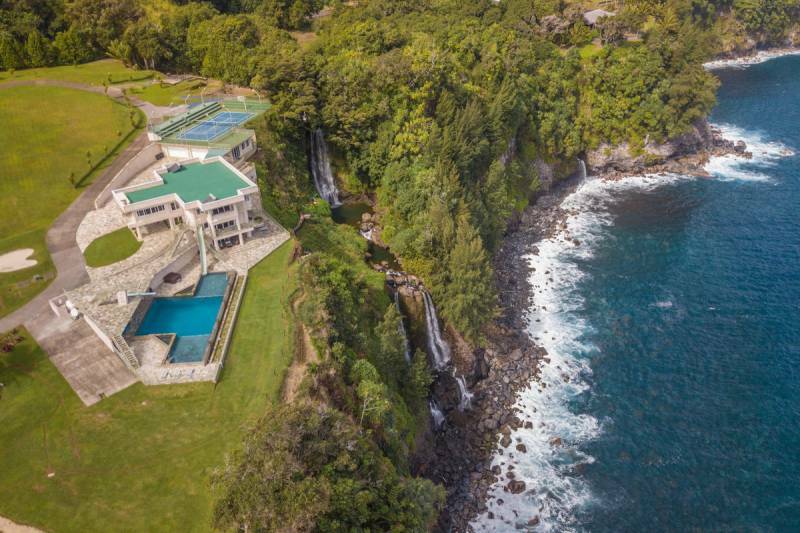 For more information about this luxury estate, or for details on additional real estate opportunities, please contact Carrie Nicholson, R (B), BIC, Director of HL1-Big Island. I’ll take it with an offer!!!! I love it. How to get to the location from the which airport Kona side or Hilo side. Or Helecopter.